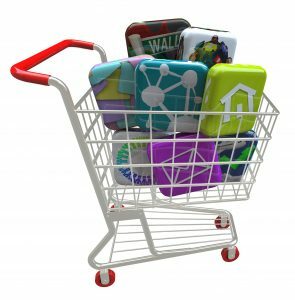 The idea of mobile marketing may sound nice and catchy, but many business owners want to know exactly what it will mean for their businesses. They want specifics on the benefits mobile marketing offers to their prospects and customers. They want to know why it is worth their time and money to incorporate mobile marketing into their marketing plan. Is this you? Keep reading and we’ll answer your questions, so you can stop wondering, and start getting results. Statistics reveal that nine out of 10 adults in the United States have a cell phone and half of those are Smartphones. With this number alone, it is clear that knowing how to use mobile marketing is essential to the success of your business. It may seem like foreign territory to you, but it’s just one of those things you simply cannot ignore if you are serious about reaching your prospects and customers. Customize mobile apps to meet unique customer needs. By creating a custom app for your business, you can enable your customers and prospects to access your services and special offers in a way that is easy for them. Your customers have unique needs, and Apps engage them and meet them exactly where they are. Keep your customers up-to-date on the incentives you are offering. Mobile marketing provides push notification which allows you to easily notify your prospects and customers of the latest special offers, discounts or perks you are offering. Unlike e-mails that will likely go unread, prospects are sure to receive the messages. Drive your prospects to your website and/or place of business. With mobile marketing, you are reaching your prospects on their phones, but you are then delivering a call-to-action, so they will further connect with you—either by visiting your website or stopping by your place of business. If you are ready to get started with mobile marketing, contact us today to schedule your complimentary consultation.